Here at the Ball Report, we’re always telling people that any unusual pain or feelings in the groin could be a potential sign of testicular cancer. But for one English guy, it was a very different sort. 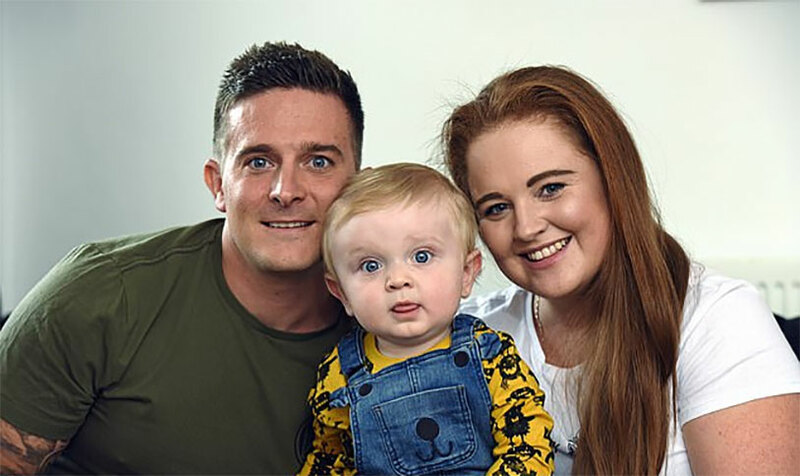 Jack Donovan, a 29 year old father in England, made multiple visits to his local emergency room complaining of intense pain in his testicles. Doctors there thought he had torsion or a sexually transmitted disease – but after further examination, it actually turned out to be a brain tumor! How exactly does this happen? Well, when you have a brain tumor, it presses on a variety of nerves inside your skull and sends phantom messages – that’s why in addition to ball pain, Jack was experiencing nausea, abdominal cramps and headaches. His brain was getting signals that were unrelated to anything happening in his body. He finally got an MRI, where the doctors noticed a shadowy shape in his head. They identified the tumor and began a course of treatment. Unfortunately for Donovan, two years on they haven’t been able to stem its growth and it’s now considered potentially terminal. He’ll be undergoing a surgery to remove as much of the oligodendroglioma tumour as doctors can get at, but he’s living like every day could be his last. What a pain in the balls.